You'd think that after a week's off from blogging I'd have more words to say regarding some of the stuff that happened in the interewebs while I was doing something very important (read sleep all day). 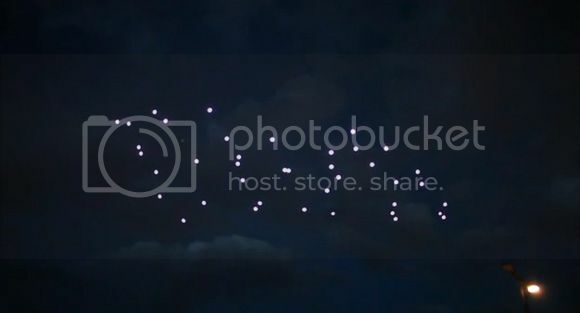 Now if you turn your attention to the image above you'd assume that it's just some stars going out of their usual alignments but it's actually a group of quadrocopters, 49 to be exact that are fitted with LED lights and programmed to move around and be fancy. It's quite the light show but the background music just makes me want to go back to sleep. Go ahead and watch it if you want to feel a little woozy.